Marine Engine service - Outboard and inboard repair and servicing - French Marine Motors Ltd.
French Marine Motors have been providing marine engineering services for over 50 years, serving both the commercial and pleasure craft marine markets. As area agents for all the major engine manufacturers, we are able to service, overhaul and repair a wide range of inboard and outboard marine engines - Volvo Penta, Yanmar, Scania, Vetus, Mermaid, Mercury, Yamaha, John Deere, Bukh, Perkins, Sabre are to name but a few. French Marine are pleased to provide technical support and are able offer a fast turn around on commercial breakdowns. 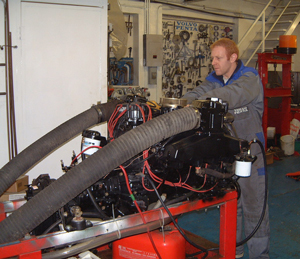 French Marine Motors employ 14 highly trained marine engineers based between our 4 branches on the east coast. All our engineers are factory trained, which demands that they are continually updated on all current engines and familiar with newly released engines in accordance with our own and the manufacturers high standards. Each of our branches specialise in certain engine makes and models; this allows us to develop centres of excellence for a given engine range. We frequently move engineers from one branch to another so that the expertise is always in the right place when it is needed. French Marine Motors also have full work shop facilities at each of our branches with all the latest electronic diagnostic equipment. We have the facilities to completely rebuild and test-run inboard engines from the 9hp Yanmar 1GM10 up to the 800hp 16 litre Scania DSI16. We also have specially designed outboard test tanks that allow us to run and test outboards. Alternatively we are able to test run engines in situ. Our mobile facilities and specialist equipment enable us to work anywhere in the UK and beyond. French Marine also have the facilities to store boats in our secure compound while the boat is in for service. 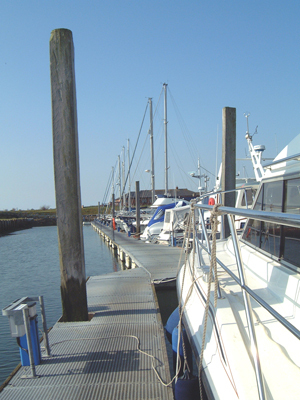 Whether you use your boat commercially or for pleasure, we understand that you have invested a lot of time and money in your vessel and that you want it standing ready and available. We will strive to meet those demands. Our engineers take the utmost care and consideration when on board your craft, our goal is always to leave your boat as we find it. We believe that it is only by putting your requirements first and doing a first class job that we will continue to be the successful marine engineering company we are.